The full art for Ace following the sketch previews. Journalist by day, costumed vigilante by night, Ace is having the time of his life bringing down bad guys – but will his luck eventually run out? 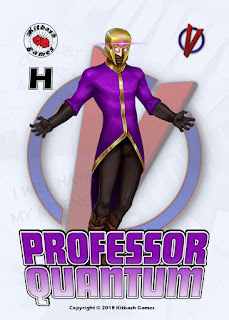 Ace has been part of the Covenant of Justice mythos for many years, and when I embarked on pulling together what I needed for the Supers Unlimited book, he became the second character to get a full visual concept. 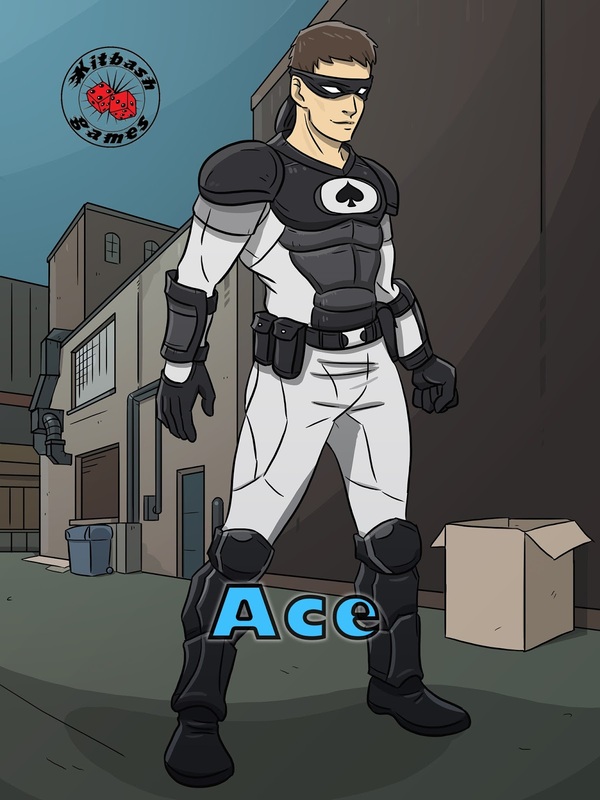 I wanted something that evoked a sense of body armour for Ace to make up for his lack of powers. I think that when I eventually get him sculpted, the armour will make for some nice surfaces for painting. As for his mask - that is the classic TMNT-style domino tied in the back - a design I have always liked. It's a good striking costume and will be a pleasure to paint up once immortalised in miniatures form.